Content improves your website’s SEO and search engine ranking. It increases audience engagement and fills, nurtures and converts leads. Which ultimately skyrockets your sales. Video boosts conversions and sales, builds trust, appeals to mobile users, and engages even the most distracted buyer. Put the two together, and you’ll have the perfect storm… in the right way. Video marketing is an incredible way to create content or reuse/repurpose your existing content that can have a significant impact on your audience. Think of the two together; content is king and video is insatiable. It can only equal emotion driven sales. Smart marketers use them both and use them wisely. 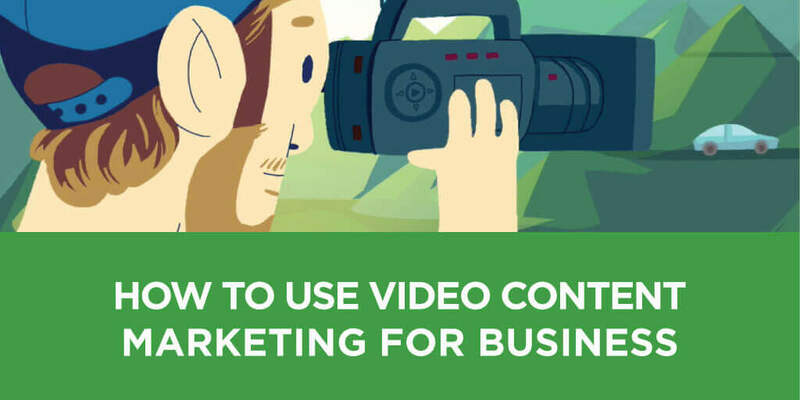 In this article, you’ll discover how to use video to produce content for your business. Bonus: Download our 13 Tips on How to Utilize Video as Part of Your Content Marketing as a PDF. Easily save it to your computer or print it for reference for your next website. I know I just said emotion driven sales. But when done correctly, it will happen naturally. As marketers, you must focus on adding value to your customers. 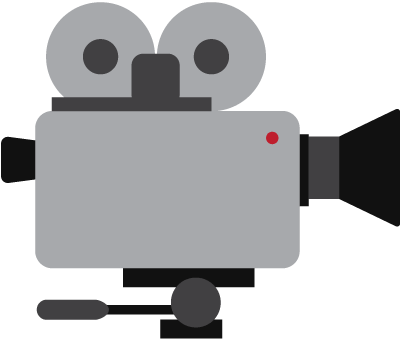 How should you deploy video in your marketing strategy? Effective video marketing has to be engaging from the beginning. You need to grab your audience within the first 5 – 10 seconds. Your video content must match the interests and needs of your viewers. If it does, you won’t have to worry as much about their attention span. People will pay attention if the content is relevant. Remember to put yourself in their shoes and ask the infamous WIIFM question. It’s about the value proposition. The key that will make your viewers understand what you have or offering is worth their time or money. It is the primary reason a prospect should purchase from you. Humor can help build personal connections. There are proven studies that humor is a social bonding technique. If your video makes one person experience a laugh or crack a smile, you’ll forge a bond with them. Not to mention, if they find your video amusing, they are likely to share it. Humor is contagious. Humor makes us happy and happy goes a long way…maybe even viral. Businesses must understand their target audience first and use humor where appropriate. Is your brand the type to use conversational style? Or is it more refined? A great article that covers this topic was written by Jayson DeMers, Should Your Brand Try to be Funny in Content Marketing? Humor in your video can be a powerful tool if used right. Key takeaway… if you are adding value, and it’s right for your brand, humor should be incorporated. You want your brand discovered. A video sitemap will give Google information about your video content on your site. Here’s how you can add video content to a sitemap. With the help of a sitemap, Google can direct visitors to your site instead of leading them off-page to a hosting platform such as YouTube. Ian Cleary of Razor Social gives a step by step tutorial on the benefits and how to go about setting up a video sitemap. There are a few options available; creating your own, using a plugin or sitemap generator tools. Using a video sitemap allows your video content to be indexed as part of your site which is essential. How many people do you know that turn to YouTube for a “How-to” video? There are more than “135 million how-to’s on YouTube, addressing every need, impulse and question that can be typed (or voice-commanded) into a search bar. According to Google (and this is a few years old), more than 100 million hours of how-to content have been watched in North America so far this year. As a business, you need to address the questions and concerns your viewers’ have that are related to the types of products you sell. Then create a video with the answer. Buzzsumo has a great tool; the question analyzer, that is perfect for researching customer questions. You can find the most popular questions asked in forums like Reddit or Quora. You can also use a tool called Answer the Public. Find out what questions and queries your consumers have by getting a free report of what they’re searching for. One of the best ways to adopt video into your content marketing is to meet your customer where they are in the buying process. Top of the funnel – educational videos (useful information on how their problem can be solved) At this stage, they are just beginning to understand there is a problem. They are becoming >>> aware. Awareness stage. 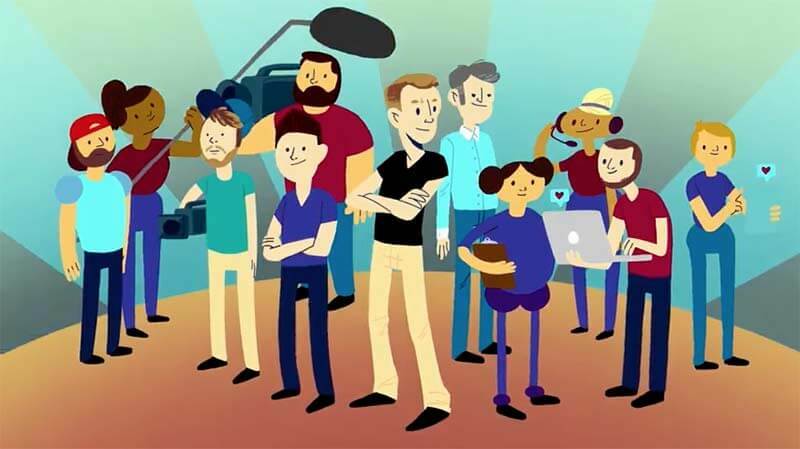 Middle of the funnel – explainer videos (explains how your product or service solves their problem) Now that they are aware, they will consider their options to solve their problem. >>> Consideration stage. Bottom of the funnel – demos, and testimonials play a critical role here. Your potential customers are trying to decide on a specific product. >>> Decision stage. Each stage must have a deliberate approach. The videos must reflect a main goal or purpose. You should always keep in mind the actual process your visitor goes through leading up to their purchase. Use the buyer’s journey to create video content at every stage. By taking a step back and reviewing previous success and failures, you will be able to evaluate and improve on current video content. Monitoring past content results can be helpful when producing a script for your new video. Positive responses to specific content can help guide what you need to include in order to create a powerful video that customers are likely to engage with. These four steps highlight the importance of taking into consideration your own strategies for success before jumping in head first. By improving your marketing strategies you will be able to respond faster to fundamental decisions that impact your video making process. Another vital step in production is finding the best medium that will reach the most amount of buyers and generate the most responses. Once you’ve established the best way to communicate with viewers, it’s time to test out new designs while keeping in mind your knowledge of past accomplishments. Want to give your blog post or site page more depth and value? Integrating videos into your content marketing will benefit your business and customer. Your content will become more dynamic and engage your viewers. You can embed a YouTube video as a powerful SEO growth strategy. On our YouTube marketing post, tip #11 gives you step by step instructions on how to embed a YouTube video in your blog posts. The videos you choose for your blog posts can be exactly what was written or you can choose other videos you created that are relevant. The written word may not be as effective as a step by step tutorial viewed in a video. It helps the user comprehend exactly what you are trying to convey. It’s important that your video create value. Whether it is through education in how-to videos or creating an emotional or inspirational feeling. Human emotion will influence your customer’s buying behavior. Using video promotional campaigns to increase communication between your company and consumers can be easier than you think. One of the main benefits of using videos to promote brand awareness is its ability to function and succeed in many different formats. In other words, a corporate video can be presented as a short video clip on Snapchat or a long instructional documentary and still satisfy their targeted audience because it is so versatile. Customers value the content being communicated whether it is a simple customer testimony or elaborate how-to tutorial. Not only can it be produced in short and long formats and available on dozens of social media outlets, but it is also easily accessible on stationary and mobile devices. Today’s advanced technology allows for all of these elements to make video the most ideal way to accomplish your marketing goals. More importantly, there is a direct connection between watching a video on a social media channel and a buyer’s decision to make a purchase. 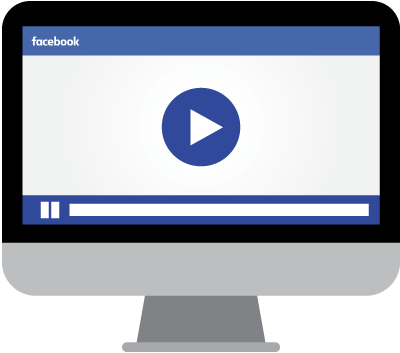 Brands should utilize a multi-platform video strategy to increase their ROI. It’s time to lay it all out. Video content marketing is a strategic marketing approach that will drive your customers’ actions. Consistent content to the right audience will attract, engage and convert your leads. The goal of every video should be to educate as well as entertain your audience. Every concept you’ve implemented for content marketing can be applied to your video content marketing. Meaning you should have a well thought out video campaign. As a business, you should create quality videos that always add value every step of the way through the buyer’s journey. (discussed in tip #6). You’ll find yourself creating a more strategic and effective video. Know your audience. If you are serving more than one audience (different personas). It may be beneficial to create videos tailored to each persona. This will help you deliver video content that will be the most relevant to your audience. Distinguish your business from your competition. What makes you unique? Remember you’re talking to humans. Express emotion. And avoid jargon. Depending on where your visitor joined in, they may not understand your language. How many times do you exit out of a video because of low-quality sound, blurry visuals, or meaningless jibber-jabber? In such a digital age, it is sometimes hard to compete with other corporate videos. You want to create a video that will attract viewers, keep them engaged, and inspire them to do something with the information you are delivering. It is essential to make sure your basic production techniques maintain good quality to keep viewers interested. If you want to build trust and credibility within your consumer market it is important to follow a few guidelines. Design enhances brand awareness. By investing more in the overall quality of your video you will increase your client base and increase conversion rates. At the end of the day, your investments will pay off. Remember, these are a representation of your company’s goals and it’s important to put your best foot forward when producing your corporate video. Don’t settle for less. Invest smart to receive a significant return on your investment. The way we communicate and how our consumers digest information is always evolving. Corporate video today is an example of that change. Corporate video is much more customer-centric than focused on the brand. It is designed to solve a problem rather than talk about the benefits. Only then should you ask the viewer to do something. It naturally will create an action needed by the audience. Video marketing can seem daunting in the beginning. But having a well-rounded marketing mix is the best solution for any business. We help businesses create effective and timely video productions. As a business, you must think about the long-term resources that are required for video content marketing. You should decide early on if you are going to be committed and fully equipped for video production or outsource the process. With video content at its peak, a new corporate video will boost your brand and solve your customers’ needs. A powerful video will help convert viewers into customers. You need to consider your audience as it stands today and your potential audience. Your immediate audience will be comprised of your current website traffic, Twitter followers, Facebook fans and other social media platforms. Your potential audience will grow larger with Google searchers, the extended network of followers of your Twitter followers, friends of your Facebook fans and more. Understanding your immediate reach will help reach your goals and consistently improve your video content. Video must add value independently of your brand. Keep in mind you’re not marketing videos. It’s to be educational …not direct response. Remember it’s a long process—so know the difference between marketing content and content marketing! Video content is here and the statistics show that it is one of the best marketing mediums to incorporate into your business. I’d love to hear what you think about video content marketing. Which of the video tips from today’s post are you going to try first? Are you going to use a little humor? Or maybe you want to optimize around your customers’ buying process?